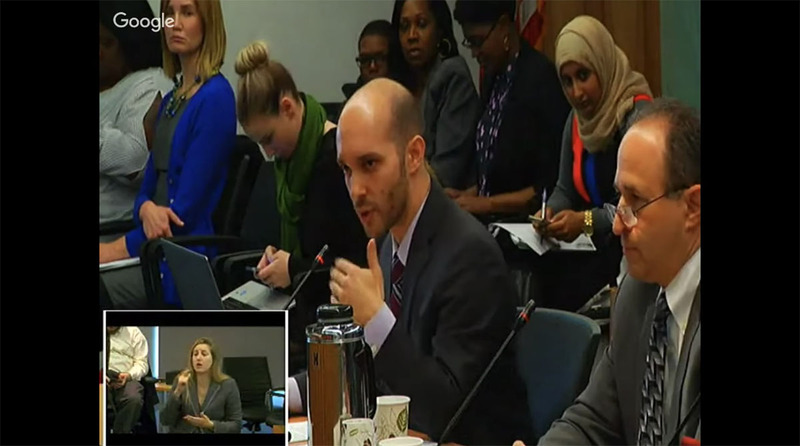 On December 8, senior fellow Max Eden testified before the U.S. Commission on Civil Rights in a public briefing entitled “The School-to-Prison Pipeline: The Intersections of Students of Color with Disabilities.” His written testimony is below. The notion of a school-to-prison pipeline is based on two linked claims, neither of which withstand rigorous empirical scrutiny. First: that the disparity in school discipline is based on teacher bias rather than student behavior. Second: that school suspensions cause negative long-term outcomes. When he gave this speech, these statements appeared at least somewhat credible based on the academic literature. But more rigorous empirical work published since fairly well falsifies these hypotheses. The most rigorous work published at that time was a 2011 study by Indiana University’s Russell Skiba, which found that black students were punished more severely than white students for similar infractions. However, it admitted two major limitations: it did not control for different schools, or for prior student behavior. Skiba’s 2014 paper controlled for both, and found that the racial disparity in the likelihood of receiving an out-of-school suspension disappears altogether. Skiba’s research accords with that of University of Georgia’s Joshua Kinsler and that of University of Arkansas’ Gary Ritter and Kaitlin Anderson. Given proper controls, the case for racial discrimination within schools largely vanishes. The statistical disparity is rather due to differences between schools. Socio-economic factors play a role in this difference. But the literature finds that even after controlling for them, race still appears to matter. Schools that are a higher percentage African-American tend to have higher suspension rates. This may appear to be evidence of racial discrimination, or what the academic literature calls the “racial threat” hypothesis: the higher percentage minority, the more the majority (in this case white teachers) tends to clamp down to maintain hegemony. Or perhaps it’s evidence of a less invidious cultural mismatch and misunderstanding between teachers and students. But research on teacher racial-match published earlier this year suggests that this hypothesis is overstated, at best. Researchers Constance Lindsay (American University) and Cassandra Hart (University of California – Davis) found that in middle and high schools that are more than 45% African-American, a teachers’ race makes no difference in a student’s likelihood of receiving a suspension. On the whole, they did find that teacher-student racial-match makes a statistically significant difference – but a very small one. They estimate that having all-black teachers rather than all-white teachers would reduce the odds of being suspended by about two percent. What explains the rest of the difference? In 2014, researchers John Wright (University of Cincinnati) et. al, factored in a measure of prior behavior as reported by teachers in earlier grades, and found that it explained 100 percent of the racial disparity. Some might object by suggesting that earlier-grade teachers may have also been biased, making student reputation a product of bias reinforcing itself. But this seems unlikely, given that (depending on the model) they find that parent-reported misbehavior is between five and ten times more powerful a predictor of suspensions than teacher-reported misbehavior. The case that suspensions cause significant harm is similarly shallow, based largely on ignoring the elementary admonition that correlation is not causation. Allow me to demonstrate the fallacy inherent in every study of this phenomena until earlier this year: John and Tom both look the same to statisticians. But Tom punches John in the face. Tom gets suspended, and later drops out. Now – do we think the salient difference between Tom and John is that Tom got suspended and John didn’t? Wouldn’t ignoring the fact that Tom punched John – and all the troubles this action suggests – make placing the blame on the suspension rather dubious? To assess the impact of suspensions, you’d need to control for infraction. If two students commit the same infraction but one is suspended and one isn’t, then you could reasonably attribute the result to the suspension. This year, University of Arkansas researchers did just that. In one study, they found that suspensions yielded a 4.4 percent increased chance of being held back the next year. While this is plausibly negative (the literature on grade retention is mixed), it’s certainly a long way from the sensational claims (e.g., that one suspension doubles a student’s risk of dropping out) often taken for granted in public discourse. But another study examined academic impacts and actually found a small but statistically significant benefit on reading and math scores from being suspended in the previous year. This panel is on the intersection of students of color and disabilities. Two points to that: first, it’s worth noting that the literature does not document a consistent white-Hispanic disparity. Second, it’s unclear how much of the disability disparity is due to overlapping definitions. According to the Council on State Government’s Justice Center, after appropriate controls are applied to discretionary suspensions: students with autism are 64% less likely, with mental retardation are 50% less likely, with a physical disability are 8.9% less likely, with a learning disability 2.5% more likely, and with an emotional disturbance 23.9% more likely. That is for the most part rather heartening. And because “emotional disturbance” is a label given based on bad behavior that lacks an otherwise diagnosable cause, it’s not clear whether that last bit is evidence of disproportionately or to the fact that students who perpetually misbehave without clear cause are more likely to be both diagnosed and disciplined. To the extent that we are concerned with students of color with disabilities, it’s also worth noting that U. Arkansas researchers found that African-American students were less likely than white students to be held back after a suspension, and that students with disabilities were actually 12% less likely to be held back the next year if they were suspended. This panel is not only about research, but also about policy. If I were a policymaker tasked with creating a school-to-prison pipeline, I would do three things. First, I would popularize and legitimize that term from the bully pulpit. That would help bring the resentment and distrust brewing between minority communities and the criminal justice system down to our schools. I would promote the notion that teachers engage in mass racial-discrimination, fostering student suspicion of and alienation from their teachers. Second, I would pressure school administrators to undercut teacher authority by making suspension reduction an explicit policy goal. This would change classroom dynamics, providing far more bandwidth for student misbehavior. Third, I would pressure school administrators to systematically cheat on suspension and safety statistics. This would suggest to students that the system is, in fact, rigged. Which is all to say, if I were to set out to create a school-to-prison pipeline, I would have done exactly what Arne Duncan and the Obama administration did with the 2014 school discipline guidance. Suspensions are certainly lower. But the data suggest that schools are also less safe. In what I believe to be an exhaustive survey of major school districts that implemented district-level reforms and had before-and-after school climate surveys asking the same safety-related questions, my tally is that – according to students – schools became less safe in Baltimore, Chicago, New York City, Los Angeles, Virginia Beach, and Washoe County. They appear to be stable in Washington, D.C. and Miami, but both districts have been accused of rigging the suspension numbers. I am unaware of any documented, good-faith, district-based discipline reform that has left students feeling safer or even as safe as before. There is a strong literature supporting the common-sense conclusion that it’s bad for students to feel unsafe and to be in disruptive classrooms. The conclusion seems unavoidable: in an effort to fix a disparity that has since been fairly satisfactorily statistically accounted for, policymakers promulgated an initiative that second-guessed teachers based on overwrought allegations of racial bias, which made schools less safe and supportive and harmed students. My key policy recommendation would be to rescind the federal school discipline guidance. I submit that those who are concerned about the school-to-prison pipeline have far more to fear from the demonstrated confirmation bias of policymakers than from the alleged racial bias of teachers. 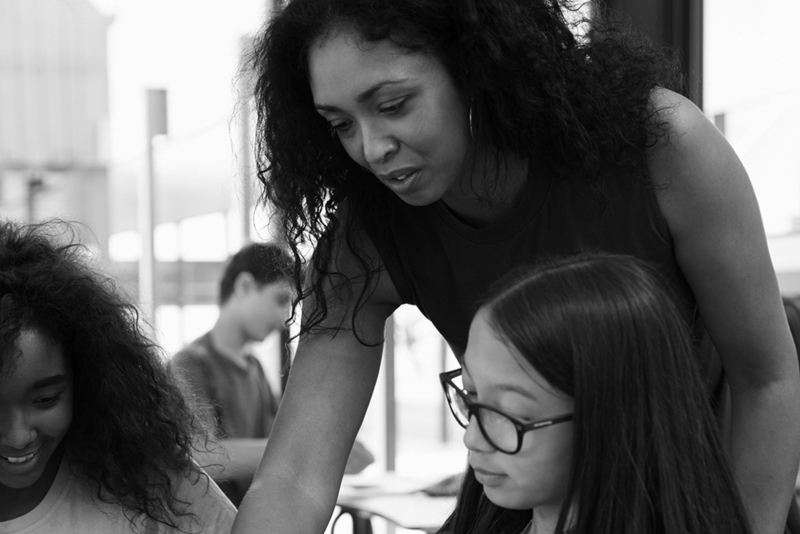 For their part, school administrators should support teachers’ efforts to maintain an orderly and equitable school climate, rather than second guess and undercut them.